A: What are your plans for the holidays? B: I will be visiting friends and family and sharing a Christmas meal. A: Will you be travelling at all? B: No, I’ll be staying close to home. What about you, what will you be doing? A: The same, spending it with friends and family. B: Will you be travelling anywhere? A: Possibly, I might go to the beach for New Years Eve. B: That sounds like a lot of fun. A: I hope so. What are your plans for New Years? B: I am going to have a quiet night with some friends. A: That sounds like a lot of fun too. B: I wish you a merry Christmas and a happy new year. A: Same to you and all the best for the new year! B: Thanks, see you next year. That is a great start. Those are two of the most celebrated holidays here in the US, so that would be a great convo to learn. Glad you thought it would be useful, thanks for the support @Robin Rue:disqus. This sounds like a great way to help people learn everyday English. I’ve heard that it’s the toughest language to master. English is easier if you break it down into smaller conversations and practice often. That way, over time you learn more of the language and become more fluent. Glad you enjoyed the video, thanks for watching. This is definitely a great conversation to know for learning English! I like that your conversation offers different questions to keep it going a bit. Very glad that you liked the video and found it useful @Nicole E.:disqus Thanks for watching, the support is appreciated. Definitely a great conversation to know while in the US! I have been working on my Swedish lately, so doing just the opposite and translating to a different language. Glad you found the video helpful @krause322:disqus. Thanks for watching and thanks for your support. I hope your Swedish language learning goes well. Thanks for the support Rebecca, I’m glad you found the video helpful. Thanks for watching. These videos would be so useful to someone learning English and help them communicate. English is such a tough language to learn! Thanks April, the videos are aimed at helping people learn English online. I’m happy you thought they would be helpful. Thank you for your support. This is a great casual conversation. I feel like when you learn english for the first time from textbooks or classes, a lot of times it can come off very stiff and uncomfortable. Very happy that you liked the conversation Esther, thanks for your support and for watching the video. Thank you, I appreciate the support. I’m happy that you found the video helpful and the conversation easy to follow. Thanks for watching. These videos are great for anyone Just starting out speaking English. The videos make it a lot more realistic then just reading a text book. Thanks Jennifer, I appreciate the support. I’m glad you found the videos helpful and realistic. Thank you for watching. It’s awesome that you’re teaching conversations like this. It both teaches about typical traditions and how people speak casually about them. I’m glad you found the video helpful and realistic. I appreciate the support Liz. You have simple and effective conversations here. I will forward your post to someone I know who will find it very useful. Thank you for sharing the video, your support is appreciated. Thank you Vidya Sudarsan. Yes, breaking it down to short conversations, short words makes it easier to remember, understand, and makes a way to use the words for other uses. Thanks for the support Marie, I’m glad you found the video helpful for people learning English. Thank you for watching. This is such a helpful conversation idea for non-native speakers. It is such a natural and common way people speak about the holidays. Very glad you found the video helpful for people that want to learn English. 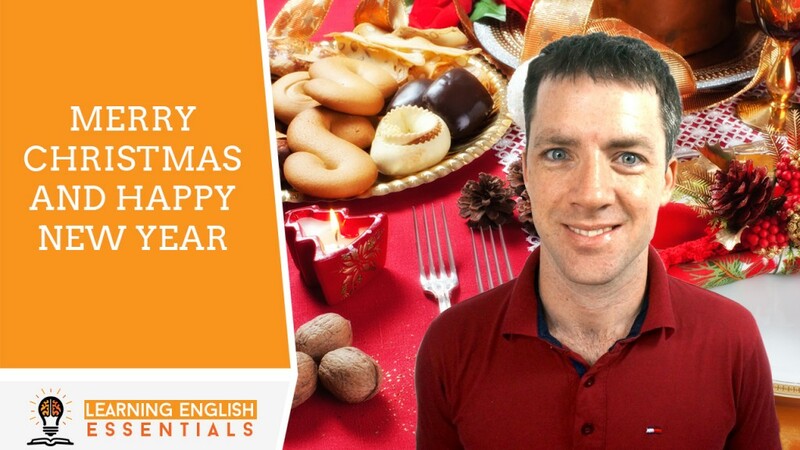 These videos allow them to practice their English speaking and listening online. Thanks for your support. Cool. This is definitely helpful for those who wants to expand and learn more about using English in conversations! Very glad you found the video helpful for people wanting to learn English online. I appreciate the support. Thank you for watching the video. This is very helpful, especially for non-native speakers! I will need to show this to some of my friends that are learning and teaching english! Thank you Lauren, I hope the people you share the video with find it as helpful as you found it. Thanks for watching and thanks for sharing. I appreciate the support. Great tips! I feel like everyone talks about traveling over the holidays! Thanks @carlyanderson:disqus, I think you are right, lots of people talk about and go traveling over the holidays. I.m glad you liked the video. Thanks for watching. You put this in such an easy to learn format. I know many appreciate that. Thank you for your support @chrystal_m:disqus I’m glad you found the format easy to learn. Thanks for watching.